Made by the creators of Mythic Fort Defense and Siege Knight now comes the fantastic game of Sentry Knight. The influence of the former 2 games can be clearly seen. But the improvements are clear as well. Mythic Fort Defense already won awards but Sentry Knight is significantly better. 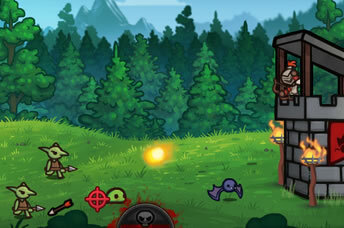 Fundamentally, it is a defense game, but it incorporates fantasy elements such as spells, war & battle elements. All of this is set in a beautifully hand-made medieval fantasy world.